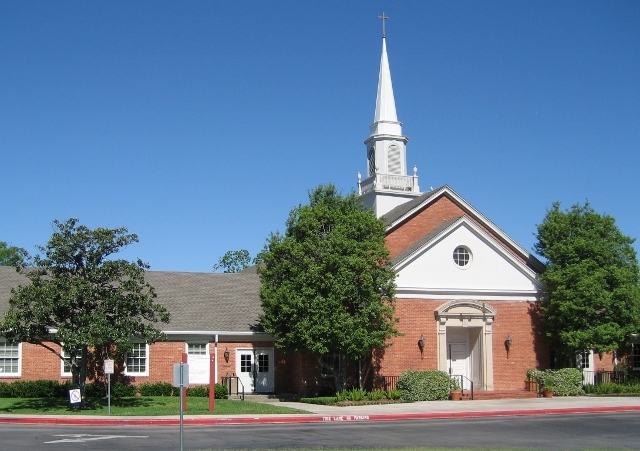 River Oaks Baptist Church was organized in 1950. Today, we continue to serve believers in the same area, but our family also extends to other neighborhoods surrounding Houston. Come and see what makes us unique, and how we keep our intimate family atmosphere inside this large metropolitan city. Do you have any questions about us? If so, please visit our FAQ page by clicking here. River Oaks Baptist Church is a caring fellowship that welcomes anyone and everyone. We want you to discover the joy that we share when we come together to worship in spirit and in truth. If you are planning a visit on a Sunday morning, here are a few helpful hints to help you find your way and know what to expect. We look forward to seeing you! We are located inside Loop 610 near the River Oaks/Highland Village area. You can find us at 2300 Willowick Rd. (same street as Weslayan) between Westheimer and San Felipe. On Sunday mornings, you will be welcomed by a smiling face when you enter our building. Our greeters stationed outside the front doors will direct you to the Sanctuary for Worship. Our greeters can direct young families to the church Nursery and Toddler room. Parents of babies and toddlers will get to meet our loving nursery workers, and will be asked to fill out a small information card. River Oaks Baptist loves all children, and we want them to learn about God's love for them in a loving and safe environment! Our Children's Minister, Michelle Richey, can answer any questions you may have. Sunday morning worship begins at 10:00AM in the Sanctuary. Our friendly greeters will be in the church foyer to welcome you upon arrival. Please take the opportunity before the service starts to silence all cell phones and other devices. As you enter the sanctuary, you will receive an order of worship from a greeter. The service usually begins with an instrumental prelude when you can prepare your heart for worship. Near the beginning of the service, you will be welcomed by one of our ministers, but not singled out in any way. Please give us the opportunity to know you better by filling out the visitor's information form in the worship guide. Please detach the completed form and place it in the offering plate. Children ages 4 through 3rd grade will leave during Worship with Michelle Richey, our Children's Minister. Miss Michelle will lead a separate Children's Worship service in another location that allows her to teach in a kid-friendly way. During the service, you can find the hymns that we sing in the hymnal in the pew rack. The hymn numbers are printed in the order of worship. Our Minister of Music, Greg Stahl, will raise his hands when it is time to stand up and lower them when it is time to sit down. We strive to keep the mechanics of our service at a minimum so that you can focus your heart on the reason we're there - to worship. Please stay for a moment after worship service so that Pastor Martus and our ministry staff may greet you personally! We value this time to fellowship with our members and guests. Our Bible Study classes for adults, youth and children begin at 11:15AM and end at noon. Please click the highlighted age groups to see what we offer. Once you've visited, we hope that you'll choose ROBC to be your church home. If you have any questions or comments, please call the church office at 713-622-0570, or you may click on the Contacts page to go directly to church staff email addresses. We look forward to seeing you again.